Ahmed Nyaz the lawyer of many Kolbers (border workers) wrote in an open letter to Hassan Rohani, the president and chairman of national security of Iran and reminded him that “You are responsible for the increasing killing of Kolbers”. A significant number of residents in Kurdish populated border regions of Iran, from Maku to Ilam make their living as a Kolber (border worker) due to poverty, widespread unemployment, the absence of productive industrial units and the lack of sustainable development, which is the result of discrimination and inequality governing the region. Despite the government’s awareness of this bitter and painful reality, people of this region are forced to work as Kolbers. We are repeatedly witnessing the deliberate shooting and merciless killing of border workers, though unjustly, and against the constitutional law. The government under the leadership of your excellency has not taken a plan to prevent this horrendous and inhuman massacre so far, and these oppressed people have been deprived of the minimum human rights. On the one hand, you have frequently promised the people about human dignity and the fulfillment of citizenship rights, which not only it has been ignored, but also the law on the use of the weapon against Kolbars is not followed. The people of this region have been the target of the direct and illegal shooting and merciless killing by the police, military and security forces, which are under your command in the national security council. The continuation of this situation has lead to a further gap between the nation and the state. On the other hand, under the fundamental principles of the constitution, the responsibility of all these bitter and painful events lies with your Excellency and your government. 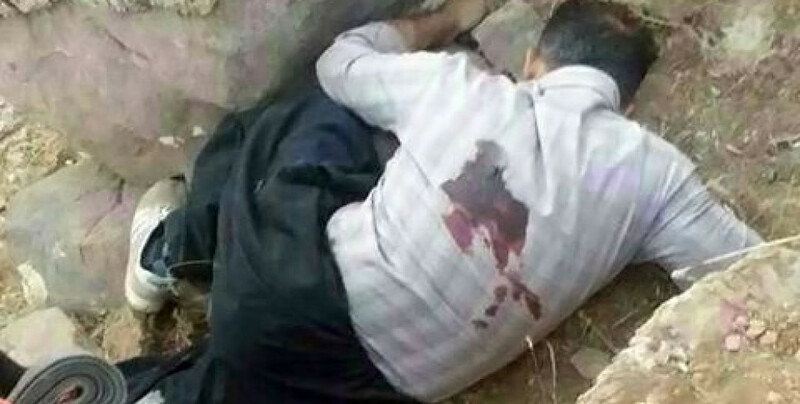 The outcome of the forty-year rule of the Islamic Republic has resulted in merciless killings of Kolbers instead of development and progress in the Kurdish regions. Therefore, your excellency, who once claimed to be a lawyer, and we had hope that with the use of law as a weapon, you would take step towards the elimination of discrimination and the reduction of oppression. We expected the issuance of an order to investigate and to put an end to this painful tragedy. To prosecute the perpetrators of these unlawful acts that killed defenseless citizens in the Kurdish regions and the loss of wealth for this people. It should be noted that the killing of Kurdish Kolber (border workers) has become a daily occurrence by the regime forces and has provoked dissatisfaction and general disgust with the occupation forces of the Islamic Republic of Iran. On Wednesday 3rd September, forces of Revolutionary Guards killed Masoud Ahmedi, 42 years old Kolber from Nosod. He was shot deliberately and directly in the heart at point blank. The spreading of his image had hed to the general outrage against the occupation of regime forces.